Washington: A new study has claimed that weight loss surgery, not only helps shed those extra kilos, but it may also improve our kidney function. Weight loss, or bariatric, surgery is highly effective for rapid weight loss in patients with morbid obesity, who are at markedly increased risk for kidney failure. 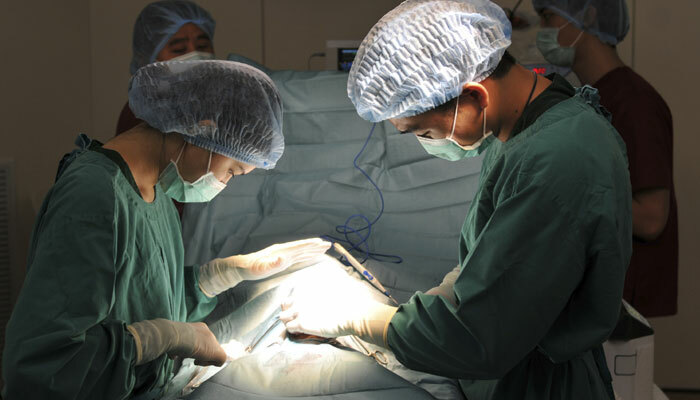 Because the effect of bariatric surgery-induced weight loss on kidney function is unknown, Alex Chang, MD (Geisinger Medical Center) and his colleagues examined the kidney health of patients who underwent bariatric surgery. A total of 3134 participants were followed for a median of 2.4 years. One year after bariatric surgery, average weight decreased from 130.1 to 90.9 kg, average body mass index decreased from 46.8 to 32.6 kg/m2, and average kidney function increased from 94.8 to 99.1 ml/min/1.73m2. Every 5 kg of weight loss was associated with a 0.50 ml/min/1.73m2 increase in eGFR. The association between weight loss and increased eGFR was stronger in patients with chronic kidney disease at the start of the study than in those without. In the subset of 108 patients with albuminuria, or protein excretion in the urine (a marker of kidney dysfunction) at the start of the study, weight loss was associated with resolution of albuminuria.